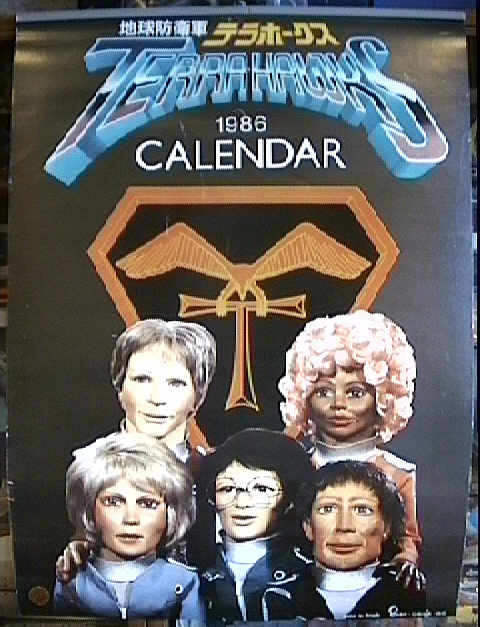 TERRAHAWKS COLLECTABLES, MISC- JAPANESE CALENDAR 1986. Shinsha Organization, produced by Armada. Measures 15*20 inches in size, has the cover and 6 single-sided leaves each of which covers 2 months.